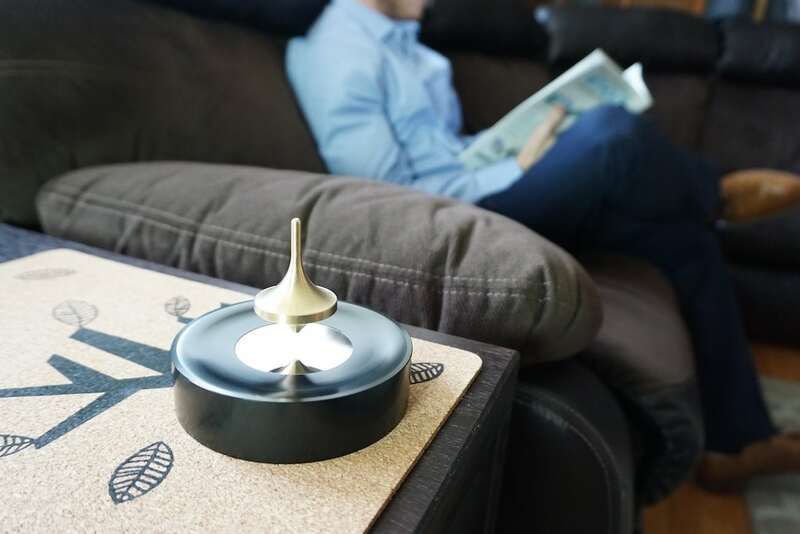 Experience a modern twist on traditional spinning tops with the Infinity Levitating Spinning Top, which levitates forever. 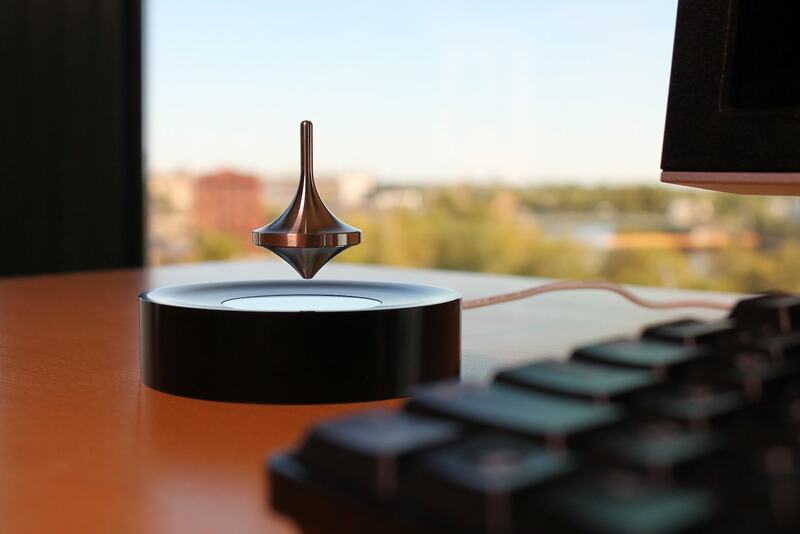 Experience a modern twist on traditional spinning tops with the Infinity Levitating Spinning Top. 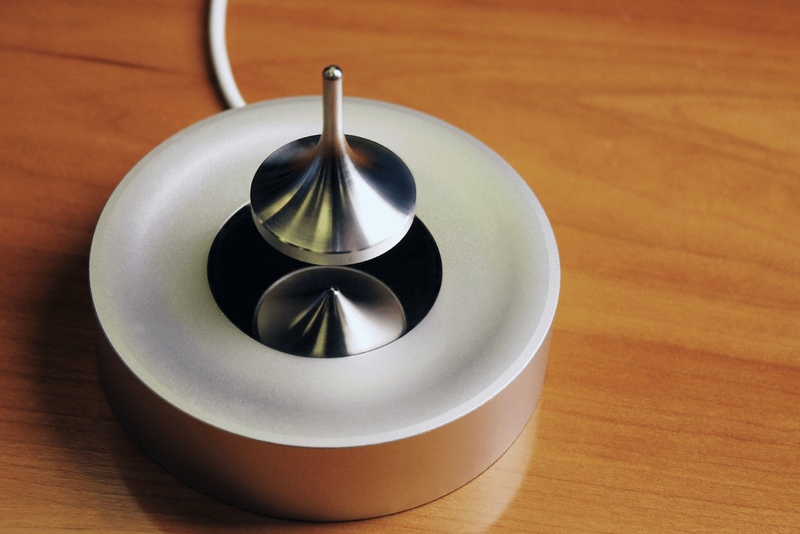 This spinning top levitates forever, as long as you plug it in. 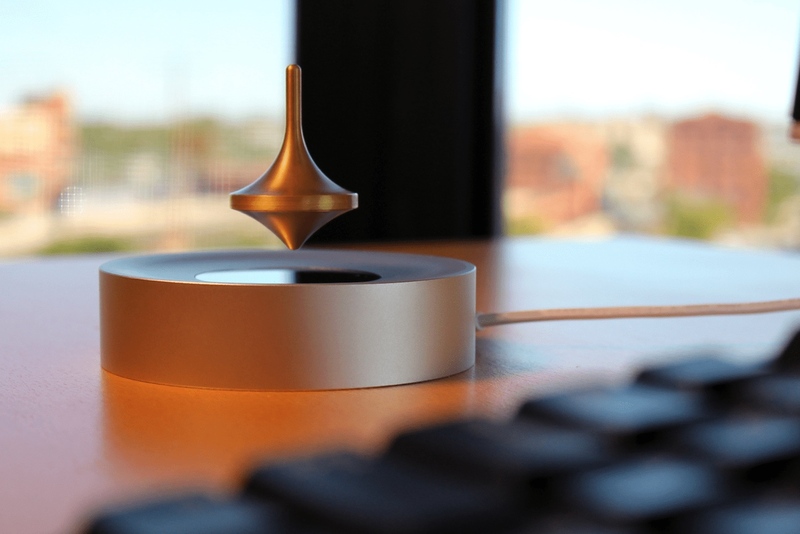 It either spins on the practice platform or in mid-air. 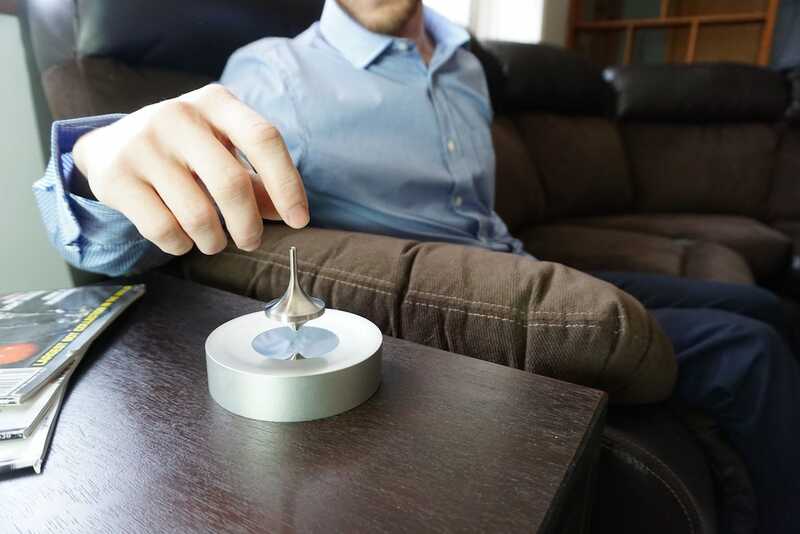 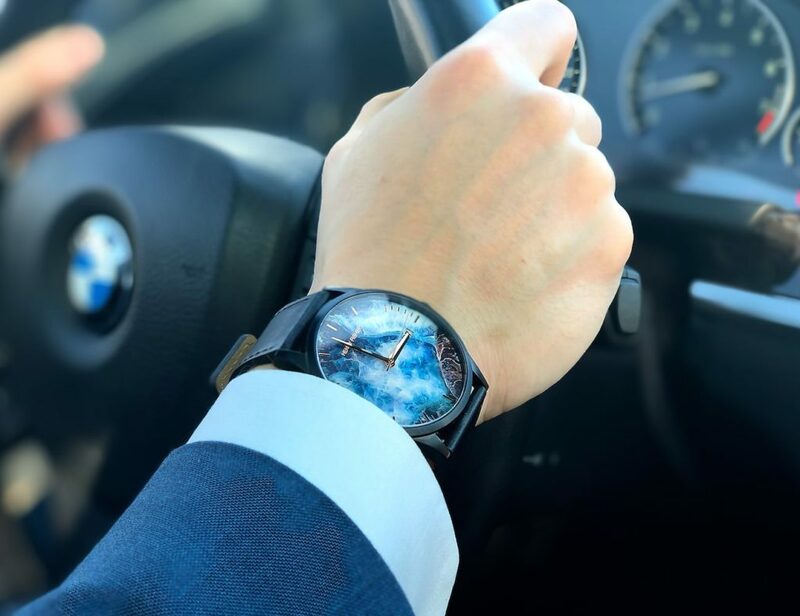 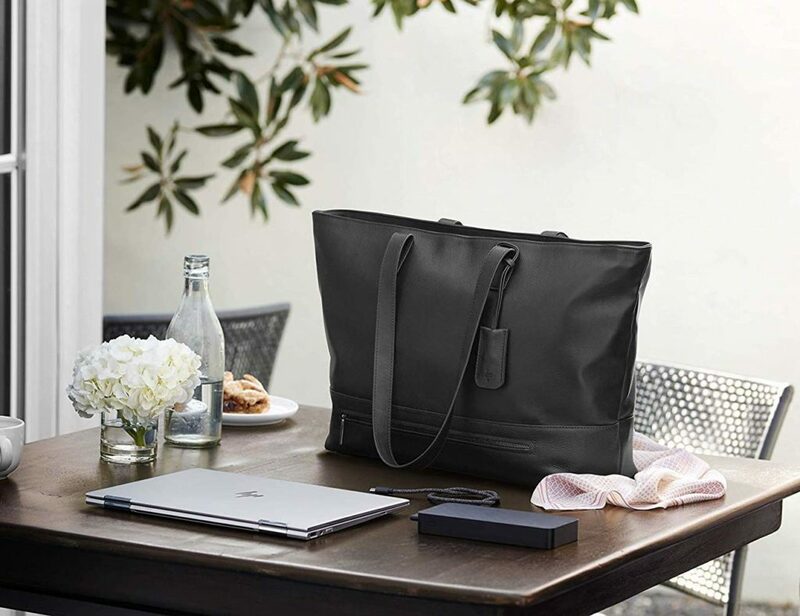 Using patented levitation technology, Infinity stays afloat without restricting its spinning motion. 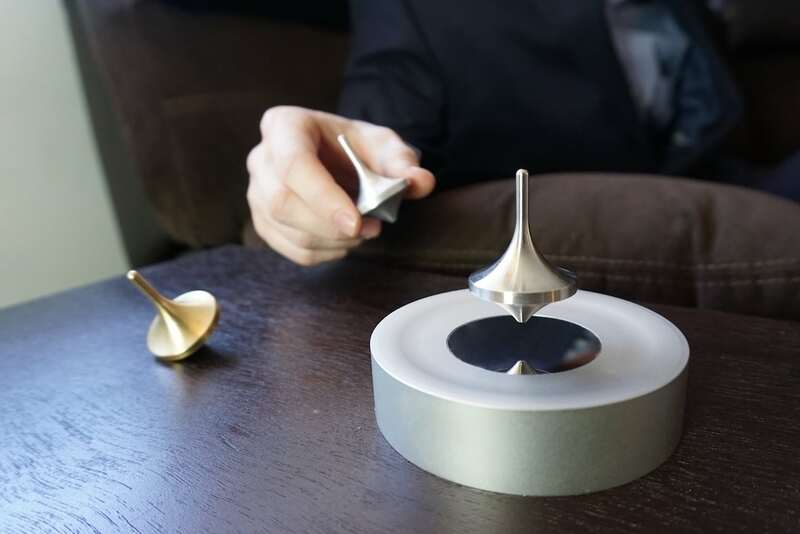 In addition, spin times vary depending on your skill. 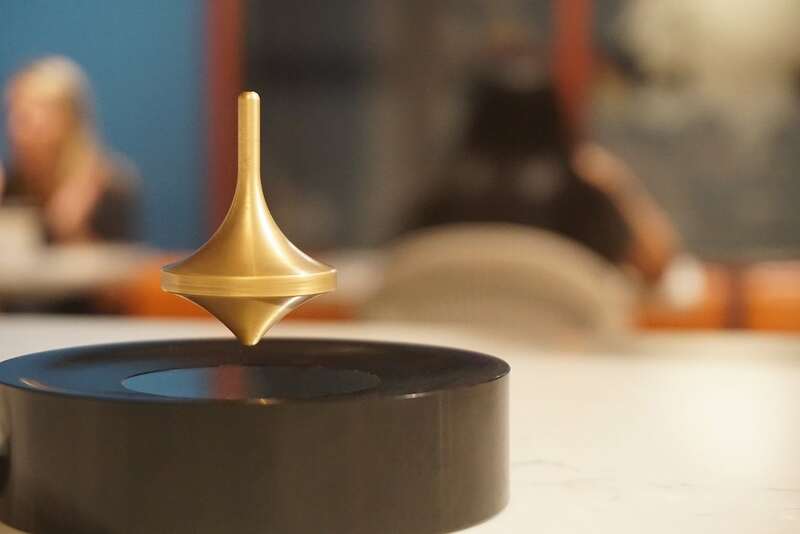 Beginners can expect 10 to 20 minutes of spin time while advanced users can expect up to 45 minutes. 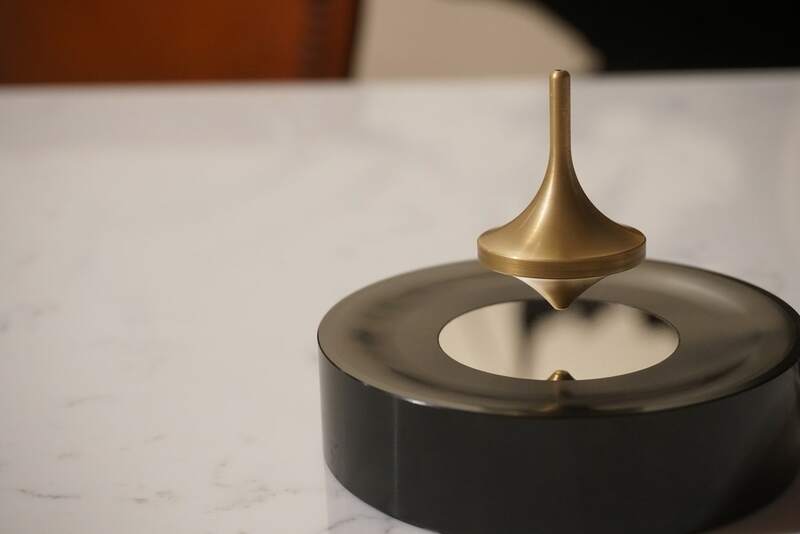 The spinning top comes in three materials: aluminum, stainless steel, and brass. 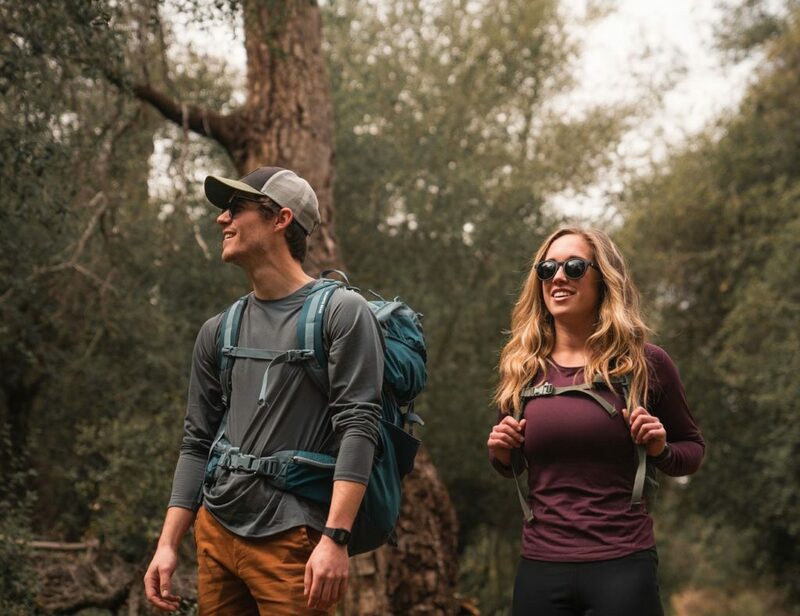 Each material offers a different density. 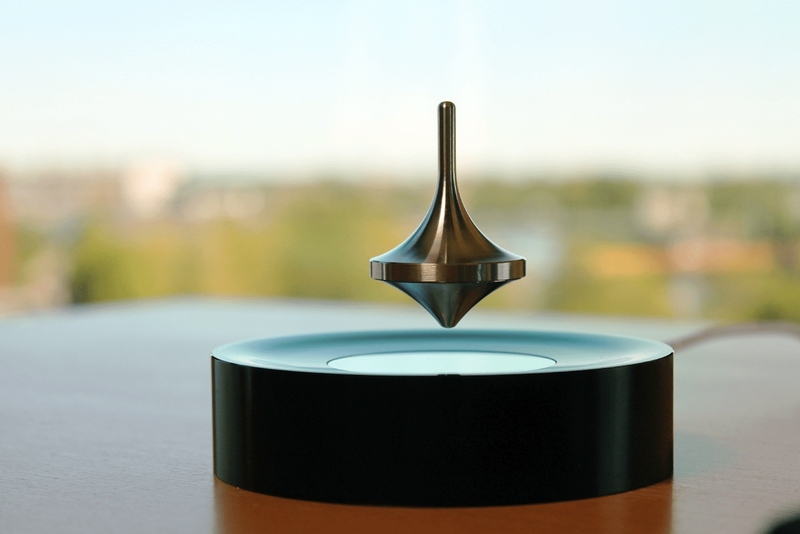 Likewise, the heavier spinning tops levitate closer to the platform. 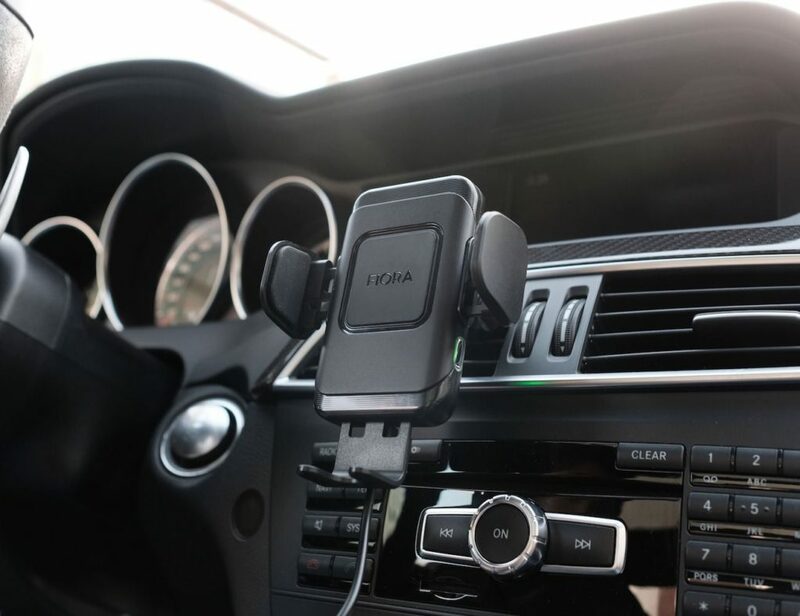 You can also choose from two platform materials: brushed aluminum and black anodized. 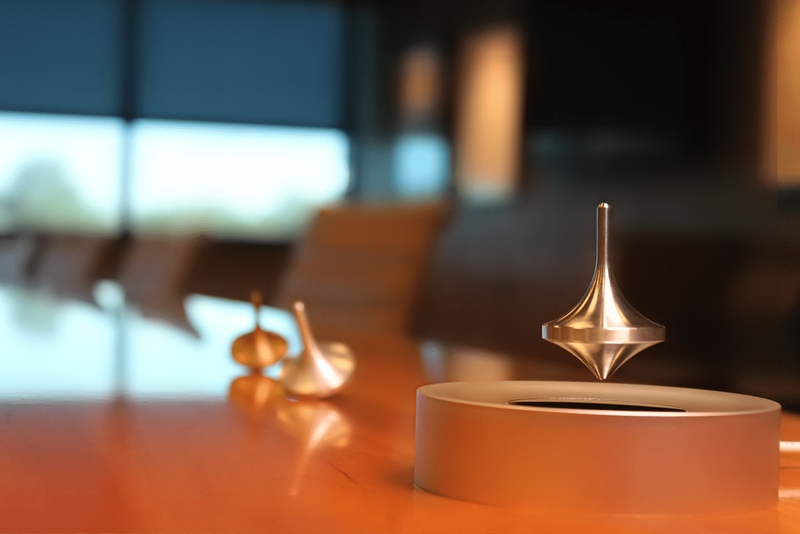 Furthermore, spinning tops offer many benefits like increasing focus and boosting creativity, making Infinity an ideal desk companion or display piece.